The annual gathering of the Iranian diaspora, gathering in Paris on June 30th, 2018 to voice support for the democratic alternative to the ruling theocracy in Iran. On June 30th, the Iranian Diaspora will host its annual convention in Paris, France. The Iranian Diaspora convention is held every year, drawing supporters of the Iranian opposition movement, including the People’s Mujahedin Organisation of Iran (MEK) and the National Council of Resistance of Iran (NCRI), from across the globe. Supporters of the democratic government in exile, led by President-elect Maryam Rajavi, will stand with their peers within Iran in their quest for regime change. Following the uprisings at the end of last year and beginning of 2018, the mullahs position in power has looked more precarious than ever. The uprisings spread rapidly across 142 cities, with protesters tearing down images of the regime’s Supreme Leader Ali Khamenei. It was a stark reminder or how far the Iranian people are willing to go to see their country restored to democracy. The momentum and anti-regime mentality that gave birth to the December and January uprisings have continued to generate protests. Laborers, teachers, farmers, and merchants have staged their own protests across prominent Iranian cities like Mashhad, Kazerun, Baneh, Isfahan, and the capital, Tehran. The upcoming convention occurs in an environment of fierce domestic hostility towards the regime. Rouhani’s routine human rights abuses turn more of the Iranian public against him every week. His false promises of reform and moderation have been exposed as false as execution numbers continue to rise. Iran’s annual execution figures are at their highest in 25 years. Now, Maryam Rajavi is the voice of the Iranian population. The truck drivers, teachers, abused workers, bankrupt investors, families of those murdered by the regime, women who have faced discrimination, and ethnic minorities need someone to stand with them and be their voice. That is precisely what Maryam Rajavi and the MEK will do on June 30th. They will rally international support for the plight of the Iranian people. They will tell the world to stop endorsing a dying regime. They will call for an end for economic contracts with the mullahs and their affiliated companies. The MEK has already seen a rise in support from key international voices. 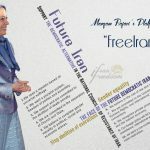 Former Italian Foreign Minister Giulio Terzi, former Vice-President of the European Parliament Alejo Vidal-Quadras, and former president of Great Britain’s Trade Union Congress Roger Lyons have all expressed their support for the Iranian people and their solidarity with the #FreeIran2018 gathering. As the convention approaches, the international community has the opportunity to re-evaluate their stance towards the Iranian regime. 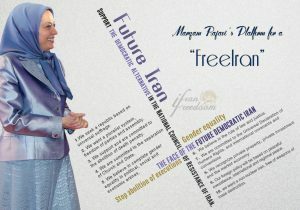 They will hear from the united voice of the Iranian public about the viable alternative and its vision for a FreeIran.